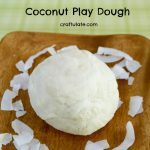 This is my favorite basic homemade play dough recipe and it’s really easy. This recipe makes a fairly small batch of dough so you may want to make a few batches in different colours. In a saucepan (preferably nonstick), mix the first four ingredients together so the mixture is as smooth as possible. It is OK if a few little lumps remain. Add the food colouring and stir to mix thoroughly. Add more colouring if required. Heat slowly, stirring regularly. As the mixture starts to thicken, stir constantly. Soon it will begin to start to pull away from the sides of the saucepan and form one lump. This takes about five minutes. 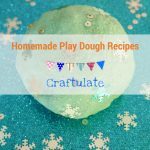 Remove from the heat and place the play dough ball on some parchment paper. Let cool and then knead for a minute or so. If you want to make several colours then I would recommend doing the heating and stirring part one colour at a time – as each dough needs your full attention! 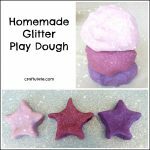 Here’s a video of how I made homemade play dough! I store this play dough wrapped in parchment paper in a resealable zipper bag. I’ve had some in the fridge and some in a drawer for well over and a month, and they both seem fine. So far the only difference is that the dough from the fridge is colder, but it soon warms up. Note: This dough could be eaten, although it doesn’t taste that nice so I wouldn’t recommend it! But if your child likes to experiment by putting everything in their mouth – this dough would at least be safe for them. Update: Since making our first homemade play dough we have experimented so much! We have added glitter and fruit extracts, plus made versions from jelly beans, jello and herbs and spices! 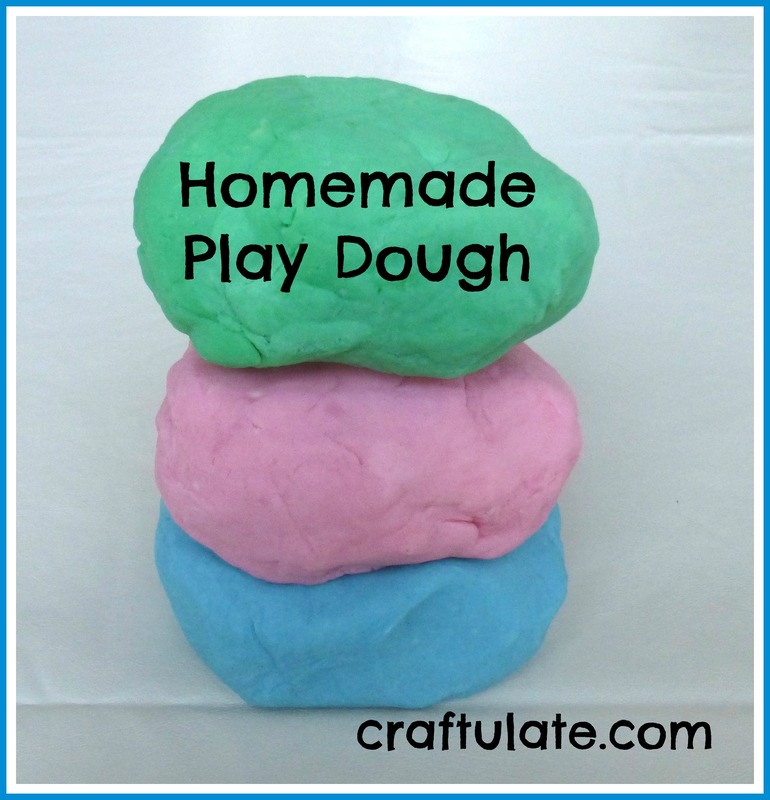 This is my favorite basic homemade play dough recipe and it's really easy. DO NOT EAT. Add the first four ingredients to a saucepan and mix well to get it as smooth as possible. Add food dye until the desired color has been reached. Place over a low-medium heat, stirring constantly, until the mixture forms into one ball. Place the dough on wax paper and let cool, then knead until smooth. Thanks George! This recipe worked out great! Not at all. It sounds like it hasn’t been cooked long enough and/or kneaded long enough.